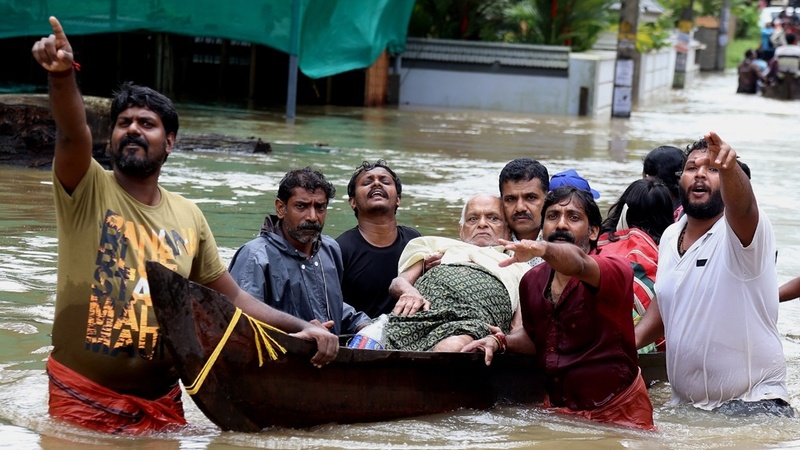 In the wake of the severe flooding in Kerala, India, many personal stories of tragedy and loss are emerging. With hundreds of people dead, hundreds more missing, and over a million displaced from their homes, no one in this devastated region has been spared, including Sister Maria Varghese and her family. Here, Sister Maria shares her story. My name is Sister Maria Varghese. I belong to the order of the Little Workers of the Sacred Heart. 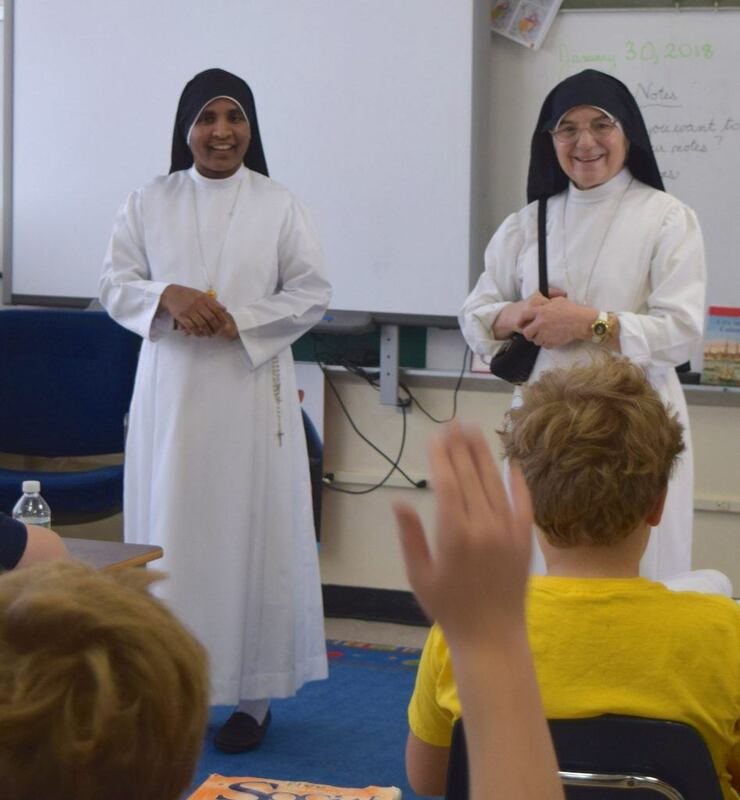 Today, I live and serve at Our Lady of Grace Convent in Stamford, Connecticut, but home is Kerala in India. Until a couple of weeks ago, most people didn’t know much about Kerala, if anything at all. But since the devastating floods hit, my hometown and my people are known. I was born and raised in Kerala, and it was in Kerala, when I was 14 years old, that I first received God’s call to a life of service. I was in high school and a group of sisters from Italy were visiting. I so enjoyed spending time with them. I then spent time visiting a convent and remember everyone that I met was so kind and loving. I promised them I would be back. At first, my parents were not supportive. They wanted a different life for me. But no matter how much they tried to convince me, I could not be swayed. This was a calling from God and it was one I felt that I needed to answer. Thankfully, I was able to show my mother and father how committed I was. God gave me grace to hear his call and to follow it. When it came time to leave home – to go to Italy and then to Connecticut where I serve today – it was very difficult to say goodbye to my family, but God was with me. Our life is lived according to obedience. Where they send us is where we have to go. Earlier this month, I traveled home to visit my family after a long time. I was desperate to get home because in March this year my mother was diagnosed with cancer and I just wanted to be with her. Being a kindergarten teacher and studying—I am working towards a degree in early childhood development—it’s difficult for me to travel. It is already hard enough being so far away, but knowing my mom was sick made it even harder. When I first arrived back home in August, there had already been some floods, but nothing too serious. They had recovered from them. So I took my mother and father to a retreat. It was beautiful six days together, praying and spending time with each other. It was a time for my mother to get some healing and courage to cope with her sickness. And we had a good time for those six days. On August 16th, the day I was supposed to return to the US, disaster struck. I remember the water coming into my family home. It is only one story, so there was nowhere for us to go. The water came in and took everything away from us. It was a very, very sad tragedy. The water came in and took everything away from us. The water in my house was up to my neck. 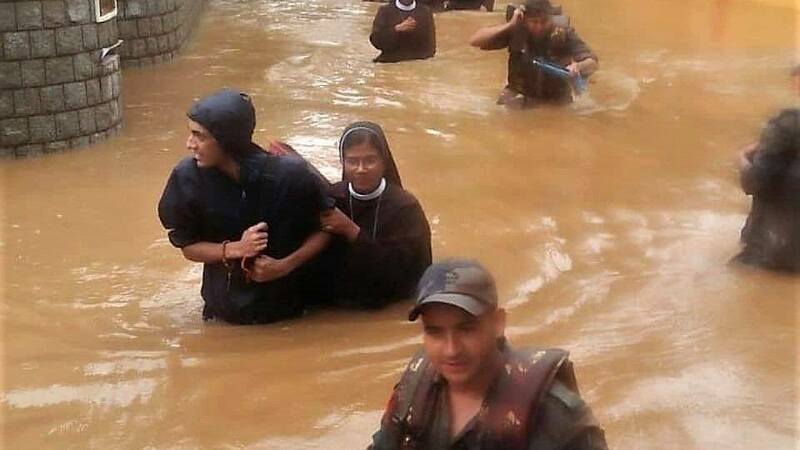 My brother took me on his shoulders and carried me to a boat that took me to the convent that was on higher ground. It took three hours. My mother and father were taken to my sister’s house. I just remember people everywhere, searching for a way out, heartbroken to leave their homes. Now that the flooding has subsided, people are starting to return home to see what’s left; they are trying to find out how they can survive. You know, no one thought it would get as bad as it did. I remember everyone saying, “Oh, it’s not coming, it’s not coming. It will be like all the other times.” But it came and now I am not sure what will happen. Although I have returned to Connecticut, I worry about my family every day. Electricity is back, but our house is completely ruined. My dad has been back at the house, trying to see what he can fix, but it’s been destroyed by the water. It’s a one-story house and everything is gone. The furniture is all gone—the tables, the beds. My father is so upset because after mommy got back from the hospital he bought an expensive mattress to help with her pain and it’s destroyed. My mommy, Theresa (Thresiamma) is 64 years old and she is fighting lung cancer. She is receiving treatment but it is expensive -$1500 a month. Right now my mom is in the hospital and just last night my daddy told me she had an asthma attack. It hurts knowing I had to leave them, after everything I saw them go through and to know how much they are still struggling. My mother can’t return to the house. It’s damp and moldy, and it would be dangerous for her to be there. My dad says the first step is repainting the house, but everything is still soaked. It will be weeks before everything is dry. I really don’t know if they will be able to live there again. What is left of Sister Maria’s home. My daddy is really struggling. He cries watching my mother suffer, watching her fight to breathe. It is heartbreaking for him knowing how sick she already is and now having lost everything. He is trying every day to find a way to rebuild everything we lost. They love each other so much. I have never seen a couple like that – so much in love. My dad is just heartbroken. The people in Kerala are poor but kind. They take care of each other, especially in times of hardship. When the floods came, the fisherman came in from the sea to rescue people in their boats. They saved lives. Friends and neighbors do what they can to help each other. So many people have opened their homes. On the night of the flood, my sister took in over 30 people. When you see people suffering, you do what you have to do. You do what you can. CMMB is partnering with Father Tomi and Healing Hands for India to help respond to this crisis. While the floods have subsided, the road to recovery is just beginning. For too many families the floods took everything. You can help make their long road to recovery just a little easier.